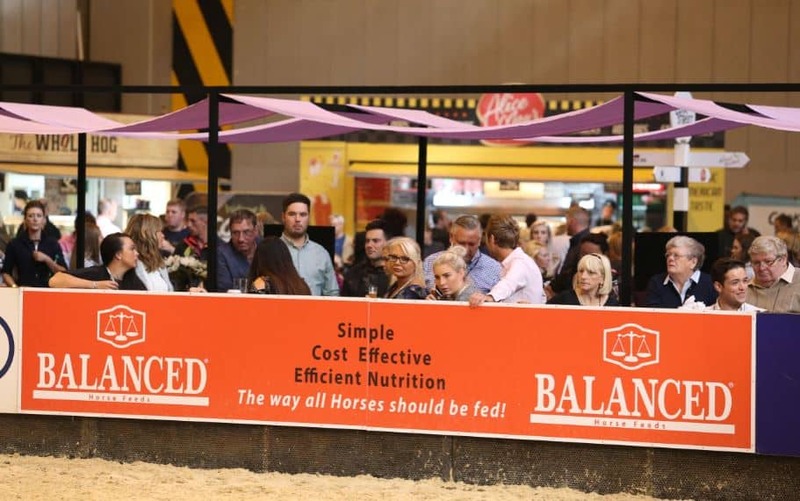 Balanced Horse Feeds will be the official feed supplier for the 2019 Horse of the Year Show, making it the fifth consecutive year of this prestigious sponsorship. Having been providing efficient nutrition to horses and ponies in the UK for almost 35 years, Balanced Horse Feeds are well placed to supply all those exhibitors and owners attending ‘The Ultimate Celebration of the Horse’ from both the UK and abroad. Each year we see Team Balanced fed horses performing and looking their best at this prestigious show with Sam Roberts, Chloe Chubb and Samantha Fowler in the native pony classes, Team Smeeth and others across the horse classes, Tracy Preist & Claudia Moore Showjumping and Charlotte Adams-Lane driving. For over 30 years the Balanced Horse Feeds concept has remained the same, use quality ingredients with no extra additives and no compromise with the composition. 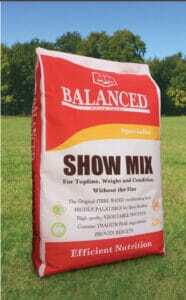 Stocking a range of feeds for all types of horses, Balanced Horse Feeds is the home of the original Show Mix, a fibre based conditioning feed designed to aid weight gain, promote extra condition and provide that show ring shine, without the Fizz! To feed efficiently, feed the Balanced way.